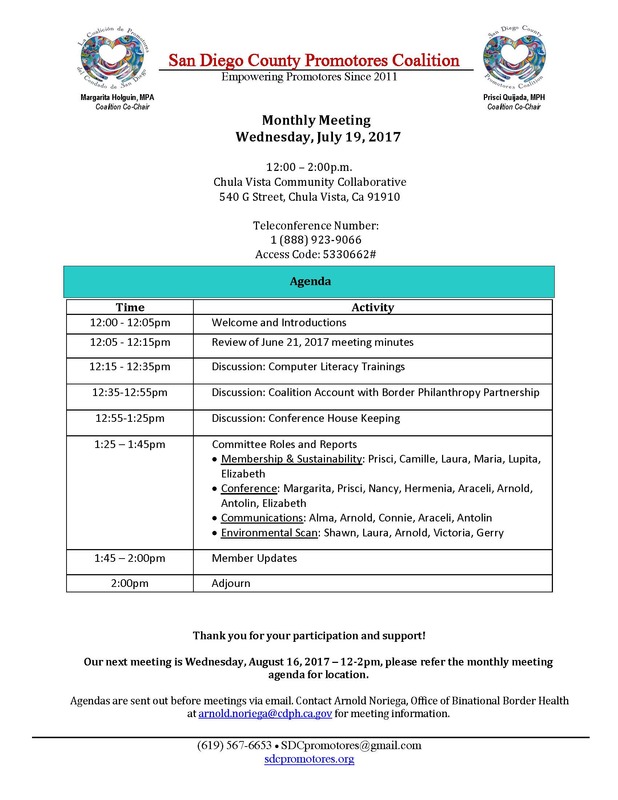 Join the San Diego County Promotores’ meeting on July 19, 2017 from 12 – 2pm at the Chula Vista Community Collaborative located at 540 G st, Chula Vista, CA 91910. Please refer to the monthly meeting agenda for more information. Meetings are held on the third Wednesday of every month at various locations. All promotores and promotores employers and allies are welcome to join.